At times, when you are in a hurry and try unlocking or locking your home or car, the key may break leaving just the head of the key in your hand and the shaft inside the keyhole. In such a scenario, you cannot even open the lock with a spare key. 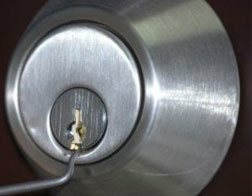 Trying to extract the key by yourself may mess with the lock, so it is better to get assistance from a professional locksmith for a broken key extraction service. You can reach Galaxy Locksmith Store for all lock and key related issues in Baltimore, MD area. Got your keys stuck inside the locks? For reliable broken key extraction service in Baltimore, MD area, call Galaxy Locksmith Store!